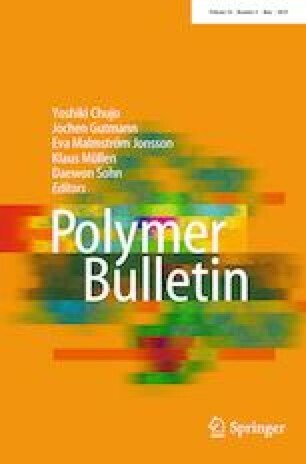 Due to the biodegradability and biocompatibility, the hydrogel biomaterials generated from poly(vinyl alcohol) (PVA) are widely used in the biomedical fields. Introducing modified magnetic nanoparticles in PVA-based hydrogels is an efficient route to improve their protein adsorption behavior. Herein, a novel well-developed porous magnetic PVA/laponite Rapid Dispersion, RD, (mPVA/Lap) hydrogels are developed by freezing–thawing cycles and subsequently, applying freeze-drying method. The morphology and structural properties of products were characterized by TEM, SEM, VSM, XRD and FT-IR techniques. As a model protein, the adsorption of bovine serum albumin (BSA, pI 4.7, Mw 66.0 kDa) on magnetic hydrogels was investigated. Different parameters such as contact time, temperature, pH, initial BSA concentration and ionic strength were investigated in order to probe the BSA adsorption on nanocomposites. Pseudo-first-order kinetic and pseudo-second-order (PSO) kinetic models were studied and the resulted correlation coefficients (r2) for PSO model were 0.97, 0.98, 0.98 and 0.99 for PVA, mPVA/Lap1, mPVA/Lap2 and mPVA/Lap3, respectively, indicating that the experimental data can satisfactorily be described by the pseudo-second-order kinetic model. A Langmuir-type behavior of the absorption was obtained, and 155, 160 and 194 mg/g adsorption capacities were observed for mPVA/Lap1, mPVA/Lap2 and mPVA/Lap3, respectively.